What does a Clothes Bin Franchising Franchise Cost? 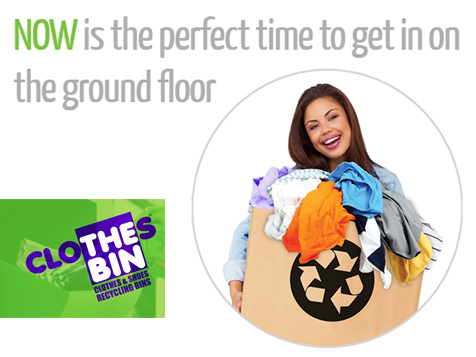 The Opportunity You've 'Bin' Waiting For . . . This part-time and semi-absentee ownership franchise offers a flexible work schedule, low overhead and competitive margins, making it the ideal opportunity for veterans, firemen, teachers, entrepreneurs, part-time workers and anyone looking for a hands-on business. Clothes Bin, a recycling business, makes it easy to follow and oprate a proven system for collecting, managing and distributing clothes, shoes and textiles throughout the United States. A management tool called BLIP™ tells you which bins are full and maps the most efficient route for you to make collections helping the environment by keeping unwanted items out of landfills. 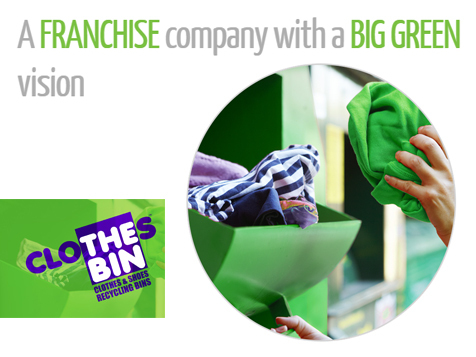 The part-time nature and flexibility of owning and operating a Clothes Bin franchise also makes it a great fit for existing franchisees in other systems who are looking to diversify and expand their interests into another industry. You can have more time to spend with family, volunteer, do things you love AND manage a part time Clothes Bin business. Clothes Bin, a recycling business, makes it easy to follow and oprate a proven system for collecting, managing and distributing clothes, shoes and textiles throughout the United States. 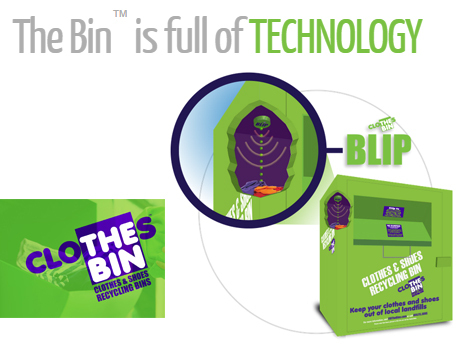 A management tool called BLIP™ tells you which bins are full and maps the most efficient route for you to make collections helping the environment by keeping unwanted items out of landfills. According to the Recycled Textiles Association, about 85% of textile waste ended up in landfills in 2012, where it occupied unnecessary landfill space. This overwhelming statistic is rooted in the lack of a convenient way for people to properly recycle or dispose of clothes, shoes and textiles.Public demand for green solutions has never been higher, yet the recycled textile recovery industry remains relatively untapped. The estimated total investment including working capital and the initial franchise fee is between $159,400 - $184,400. Third party financing is available for qualified applicants. Clothes Bin is also seeking prospective franchisees with liquid assets of at least $75,000 and a net worth of at least $150,000. Build a rewarding, simple, and worthwhile Clothes Bin business!